Stop giving your money for expensive cleaning products and harmful detergents which are not that efficient and can irritate your skin. 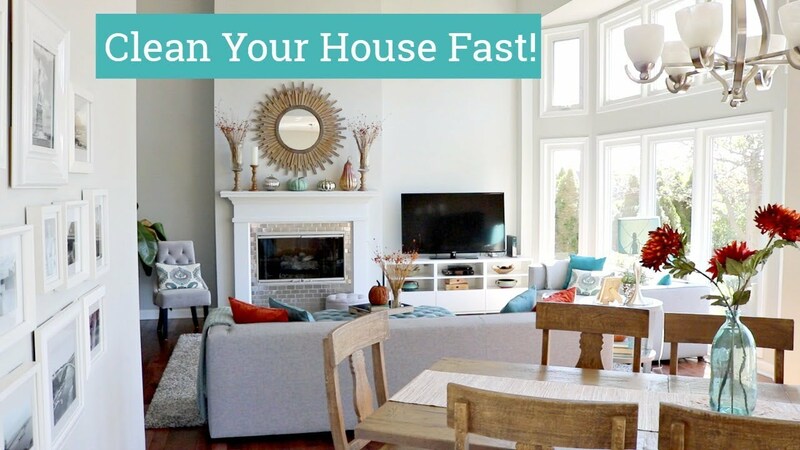 Instead, make your own natural cleaning products and meet the healthier way to make the house shine. Here are collected some for you, mums, which will help you in cleaning the house the natural way, toxins free. Start from your kitchen. Every mum has salt, vinegar and baking soda. You can use the salt as a scrub for different surfaces to help get rid of dirt and grime and you disinfect the areas in the process. If you combine baking soda and vinegar you can unclog the drains without using hard chemicals or even gloves. Vinegar is also good for cleaning greasy stains and it helps preventing the formation of mould. Have you ever used microfiber cloths? A good way to save some money is to switch to microfiber cloths instead of using old fabrics. Microfiber helps cleaning the entire household with it and water only. The results are less expenses and more natural cleaning process. An easy way to clean your dishwasher is to fill a bowl with 2 cups of vinegar placing the bowl in the top rack. The only thing you need to do now is to set the dishwasher at hot cycle and start it. This will help to remove the nasty odour and to clean your dishwasher. Have you got an all purpose cleaner? Make yourself an all-purpose cleaner. Every mum should have this powerful weapon in her arsenal. In a spray bottle combine one teaspoon of liquid castile soap and two tablespoons of distilled vinegar. Then put the baking soda – 2 tablespoons and when the mixture stops foaming put some warm water into it and shake it. This cleaning product is suitable for bathroom and kitchen surfaces. Here is the best way to get rid of water rings on furniture. Use one part baking soda and one part non-gel toothpaste coloured in white. Mix the two ingredients and you can use the mixture to clean water marks. First you soak a cloth with water then you add the paste you have made and then rub the spot. After that polish the surface with a clean cloth and you are done cleaning the water rings. A good tip is the making of an air freshener. There are a few different recipes for making it and here are two. Chop a little bit ginger root and slice one lime and put them in boiling water. You need to keep an eye on the water as it must not evaporate completely. The other recipe is mixing 1 teaspoon cinnamon, a dash of nutmeg and sliced orange. Again, you put them in boiling water and simmer for a few minutes. These recipes freshen the air in the room and are toxin free. To make a homemade dish soap you need a few ingredients: 4 tablespoons washing soda, 30 drops lavender essential oil, 1 cup castile soap, 30 drops lemon essential oil, ¼ cup grated castile soap and about 120 ml purified water. Place the washing soda and the grated castile soap in a dish, mix them and after boiling the water, put the mixture in it. Then add the ingredients left and stir until they are blend well. Let it cool down and then put it in a glass bottle and you can try it. Don’t forget to take some ‘Mum Time’ too! And here is a little tip for women. After you spend the day cleaning the house you should give yourself a treat. Use ¼ cup olive oil and mix it with the juice from one lemon to make a face mask which will exfoliate and moisturise your skin. Mums, do not forget to take care of yourselves, too. More from The Unstoppable Mama No is not another word for Yes!